Part of how we approach business – and life, for that matter – is the spin we choose to put on things. Some of how we make up our own minds is from the words others use to describe things. For example, if I won the lottery, the headline might be “Man Wins Lottery, Set For Life.” The headline could also be “Man Hit With Enormous Unexpected Tax Bill, Owes Millions.” Far fetched? Let’s take how a single publication handled the reporting of one piece of information in two different articles. I should state upfront that I have no issue with either of these headlines nor with the articles. I’m using them to illustrate a point. The publication is MediaPost, and I read almost a dozen of their newsletters each day – they provide great information. The story was a study Nielsen did on viewers using Twitter while they’re watching TV. You can read Nielsen’s own release on the topic by clicking through on this link. You might be able to tell from the graphic how Nielsen portrayed their findings. Good news for TV programmers: TV viewers use Twitter during their TV programming — showing lots of engagement, according to analysts. The bad news? Many are also tweeting during commercials. The takeaway is that viewers using Twitter as a second-screen platform are tweeting consistently throughout the airtime for programming and ads alike. TV advertisers might still prefer that viewers’ attention was fixed on the larger screen during breaks, but it’s not as if they signal the start of a tweeting blitz. All airtime is tweet time. My point is that we always need to dig a little deeper into the facts before we draw conclusions and we should always get to the source material when we can. In this case, the Nielsen study. In other cases a sales report, a deal memo, or other things about which we often learn from others who will bring their own point of view as they report the “facts.” Needless to say, the principle applies outside of the business world as well. Foodie Friday! The subject today isn’t actually food itself but the places in which it’s served. You probably how competitive the restaurant space is – just think about how hard it is for you to decide where to go eat when you go out. Which cuisine? How far to go? Is this new place any good? We’ve all been there. More often than not these days, people turn to review sites such as Yelp for information. less from Yelp – are also less likely to commit review fraud. Fourth, when restaurants face increased competition, they become more likely to leave unfavorable reviews for competitors. Taken in aggregate, these findings highlight the extent of review fraud and suggest that a business’s decision to commit review fraud respond to competition and reputation incentives rather than simply the restaurant’s ethics. They looked at 316,415 reviews of 3,625 restaurants so it’s not a small study. That said, this doesn’t even address an individual who had a nice meal with good service but maybe had a run in with another customer and decides to blame the restaurant with an inaccurate review – I’d call that just as fake as the others. The NY Attorney General cracked down on businesses that were writing fake reviews. It’s a problem for anyone who relies on the internet for research. So don’t. Yes. I wrote that. Instead, use the web to find out about available options and use trusted sites with paid, professional reviewers. Then put down the device and ask a friend or coworker or family member. There’s an expression in computing – GIGO – garbage in, garbage out. That’s what many review sites are like despite their best efforts (and I mean that they try to weed out fake stuff sincerely). Some of it is the blind leading the rest of us – who knows how educated and daring the palates are of most amateurs? A bunch of it is fraud. The problem is we don’t know which is which. Or maybe we just need not to be afraid to be “wrong” about the choices we make and go and enjoy an evening out with someone? What’s In A Name Brand? How difficult would it be for me to get you to change the brands you use in a number of household categories? Would it be hard for me to get you to drop a national or name brand in favor of a store brand? You know what I mean – Market Pantry (Target), Great Value (Walmart), and Kirkland Signature (Costco) are all brands with which you might be familiar. They’re generally less expensive although not always – Trader Joe’s and 365 Organic (Whole Foods) are pretty pricey. The quality is generally very good – as good or better, according to this piece from Consumer Reports. While more than half of shoppers (54 percent) named quality as their top priority when shopping for everyday products, less than a third said that name brands are better quality or more reliable than private label. However, 56 percent of shoppers have the perception that name brand packaging is more attractive than private label. Millennials (18-24) are 13 percent more likely than the general population to be increasing their private label brand purchases. Shoppers aged 65 and older are 33 percent more likely to be upping their private label purchases. It’s way too easy to write this off as a manifestation of the economic times. 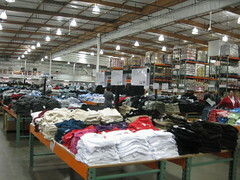 Higher prices no longer mean better quality nor does having a national brand name. It will be interesting to watch how the national brands handle this. Coupons can reduce the pricing differential but that doesn’t immediately change the preferences of a consumer who now has seen that there isn’t a difference in quality. National brands can probably do a better job of consumer engagement as well as in partnering with other national brands. It will be interesting to see how this plays out. Are you using more store brands? How can a national brand win you back? I’ll admit that today’s screed is a bit more narrowly focused than it is on some days. That said, it’s about a business that touches us all and a business practice that might serve as an example. Don’t be evil. We believe strongly that in the long-term, we will be better served — as shareholders and in all other ways — by a company that does good things for the world even if we forgo some short-term gains. So far, so good. What’s bugging me and many others today is Google’s announcement that they’re going to be encrypting all search data. They started doing that on a smaller scale almost two years ago (you can read my post on it here). For those of us who are in the business of helping companies understand how and why people come to their digital businesses, it made life difficult. If you’re engaged in search engine optimization, it put a dent in your abilities as well. However, at the time, Google said it was a measure taken to protect user privacy (for users signed into a Google account) and it wouldn’t affect much of the data. Fast forward. It HAS affected a lot of the data and yesterday’s announcement means ALL the data about how people were searching and found your site is gone. Some are calling it the day SEO died. I think it’s evil. Why? Because you CAN get the data – you just need to pay Google for it. Their idea of privacy is bullcrap. You can’t offer privacy, but still SELL the data to AdWords advertisers. There’s also some rumblings that they’re doing this to protect against the NSA program but if the data is still available I can’t see how that would work. Business practices beyond reproach? I think a neutral party might say not so fast. I respect that Google offers a lot of free services, most of which are among the best offered anywhere. But dumbing down how businesses can make the web a better, more usable place hurts everyone. Part of why Google and other search engines work is that many of us work hard to be sure our content is discoverable by and clear to the search engines. This could make search results less accurate. It also means the ads Google serves will be less well-targeted. It also means that while big companies will continue to pay for expensive services that offer workarounds, start-ups and smaller businesses will suffer. I come down on the side of this being evil. You? I was not quite twelve years old when The Beatles released Sgt. Pepper. On that groundbreaking album was “When I’m 64“, which you might think is the topic of our TunesDay screed. Not so fast, dear readers. The song is a young man wondering what his life will be like when he’s 64 and will he and his lover still be together. I remember thinking at the time that 64 was VERY old and picturing two old folks walking hand in hand slowly down a boardwalk someplace. I know you’re probably tired of me writing about Bruce so let’s think about what the reality of him at 64 is vs. the mental picture of someone at that age most of us might have had when we were in our 20’s. It’s a good business point too. the older people get, the younger they feel–relatively speaking. Among 18 to 29 year-olds, about half say they feel their age, while about quarter say they feel older than their age and another quarter say they feel younger. By contrast, among adults 65 and older, fully 60% say they feel younger than their age, compared with 32% who say they feel exactly their age and just 3% who say they feel older than their age. Moreover, the gap in years between actual age and “felt age” widens as people grow older. Nearly half of all survey respondents ages 50 and older say they feel at least 10 years younger than their chronological age. Among respondents ages 65 to 74, a third say they feel 10 to 19 years younger than their age, and one-in-six say they feel at least 20 years younger than their actual age. The Boss is nearly 64 and Mick Jagger is 70. So while they (and we) might be “older, losing my hair, many years from now,” if you talk to us that way you’re missing the boat. Got it? I like crazy. Not in the clinical sense since that’s kind of disturbing once you’ve seen it. I like crazy in a couple of the other senses of the word and I think craziness is actually a desirable characteristic in most businesses. You might think I’m encouraging strange behavior and wild rants. I’m not, unless “strange behavior” encompasses pushing back against the status quo. First, I think our goal in business is to get our customers to be “crazy” about our brands. That might sound easy but if so, why don’t we see more brands with fan bases as engaged and passionate as that of, say, Apple? The newest iPhones went on sale to so-so reviews and yet there are lines to buy them. Apple fans are so crazy for the brand that competitors make commercials about it. That’s the kind of crazy we want. Second, most of us are very afraid of the crazy idea. We use crazy as a pejorative. That’s…crazy! All great ideas began as someone’s crazy concept. Put a human on the moon. Humans flying. Driverless cars. 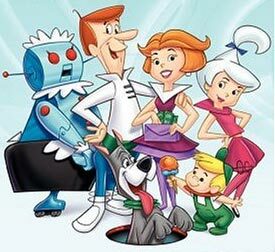 When I was kid watching the Jetsons, that was all just someone’s crazy imagination. Today, it’s reality for the most part. What slows us down as businesses is resistance to the crazy idea, not the idea itself. Look at the what the music business went through as digital emerged. Had they embraced the crazy idea of separating songs from albums and distributing the product digitally they would have prevented years of piracy, the need to sue their customers (now THAT’S crazy), and lost revenues. So call me crazy, but I’m with him. You? It’s Foodie Friday and I want to blog a bit about skirt steak. I’m a big fan of it and have been for a very long time. So long, in fact, that I remember when it was hard to find because it was so inexpensive and so underused that most butchers put it in with the trimmings from other cuts to make ground beef. Then again, many of them took the skirt steak home for supper which is how it came to be known as a butcher’s cut. 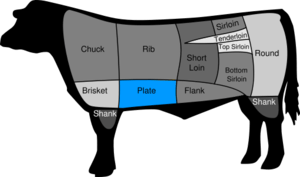 Other steaks of which you might be aware – the hanger steak, the tri-tip, and flap meat (which they sell as sirloin tip here) used to be hard to find and very inexpensive. Then the fajita craze hit. Skirt steak – the best cut of meat for fajitas – became more in demand. What was once a downright cheap, delicious protein became as expensive as all but the high-end steaks such as porterhouse and rib eye. While it remains so, one other thing has happened. There are two parts to the part of the steer that’s skirt steak (the plate). One (the outside plate) was rarely sold since it’s chewier and less tasty. With the increase in demand, suddenly stores would have sales of skirt that was the lesser cut, confusing consumers and offering a lesser experience. Consumers moved on. It’s happened with fish too, as we can see with the monkfish. Once a “trash fish” and known as the poor man’s lobster, it grew popular because it was tasty and inexpensive. That led to it becoming very expensive and overfished. In some cases, other fish were sold as monk that weren’t. Consumers moved on. The business point is pretty simple. People are drawn to high-quality, low-cost products, whether they’re proteins or electronics or services. The ebb and flow of the market will make some price increases happen and demand will support that up to a point. What the market won’t support is a changed, lesser product or a price point that makes other products viable options. I’d rather eat a porterhouse that’s on sale for what it costs for skirt, as an example. We need to be cognizant of why people came to our products in the first place and not undercut those fundamental reasons. That’s business suicide. Thoughts?